Estella's Revenge: #AMonthofFaves: Picking Favorites! Pick a list (or general post) you loved from someone else this week! Link up at Girlxoxo! I found a post I loved straight out of the box this week! Heather from Capricious Reader gave an overview of her reading this year, and she introduced the idea of having read "113 stories." Rather than saying she's read 113 books, she feels a more realistic view is "stories." 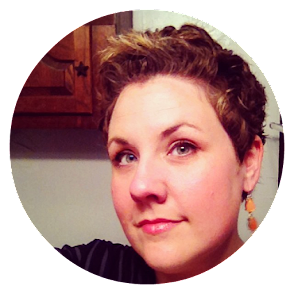 Like me, Heather loves comics and graphic novels, picture books, and lots of other storytelling delivery methods and forms. I've struggled with my own terminology this year as I've read oodles of single-issue comics which run about 25 pages. To say I've read books when I've read pieces felt...wrong. But I'm at peace with saying "stories," for sure. I also really enjoyed Flo and the Green Light's post on some of the books that have surprised her most this year. Hint: we had some books in common, namely Where'd You Go, Bernadette?, by Maria Semple. That one really took me by surprise when I read it last year. Go check 'em out! I can't wait to see what you're sharing today! I loved Bernadette as well! So quirky! Yes! I didn't expect to love it, but I couldn't help myself. I love the idea of "stories" rather than books! Such a lovely inclusive term. Stories. I love her word! Awww, thank you! You ROCK for coming up with all this! I'm really enjoying this event and I try to read & comment the maximum of the posts but I realize that I'm still behind my goal. Thanks for mentioning my post! Tanya, Tamara and you have had such a good idea that my mind never stop thinking of how I can participate even the days when the prompt can be a bit difficult to complete because I have not read enough books in English this year (and in general since I obviously will always read more in French than in English). I understand the point of Heather but I must say that I really don't care of the name I give to what I read. When I say 'books' it's a generic word since it can name very different type of contents (fiction and nonfiction and when I was training to be a teacher, children books and picture books too: books anyway!) and it seems difficult for me to call, for example, an essay a 'story'. I would tend to call it a 'text' which is also a generic word, except I'm not going to count all the texts read in one year! Haha! There is a lot to do! I'm so glad you're enjoying yourself. Don't stress too much about visiting and staying up to date. We do what we can! I think the way we name what we read can stem from some sort of self-imposed guilt. I know that's the case for me. Stories is a great term! Oddly enough, I originally was logging the (new) books I read with Madison in my reading list, but I stopped because then saying I read 150 books this year felt so disingenuous. I may have to reword like this. Or make two lists. Include 'em! I need to do the same with the books I read with Greyson. Stories instead of books is interesting! I didn't count any single-issue comics in my reading total for the year, just when I read trade paperback. I probably read enough random single issues to make up a trade, but I just can't count that separately and feel like I'm being honest with myself, which is the important thing. I just don't want to forget them! LOL I find it much easier to use Goodreads and my sidebar for tracking my reading if I go on and include them.